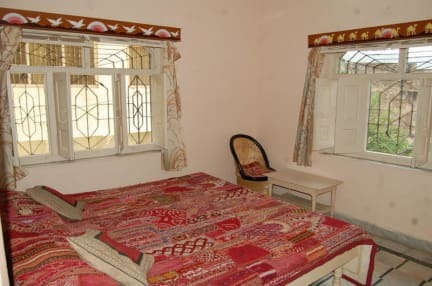 Hotel Everest is perfectly located on a quiet lane in Pushkar near the Sadar Bazaar. Offering friendly and welcoming budget accommodation, we enjoy fantastic views of the hilltop temples from our rooftop restaurant. Rooms are simple but clean and comfortable. All offer with fans,and Delux Room with Air condition cable TV(on request) WiFi, telephones and 24-hour hot water. A continental breakfast is available. 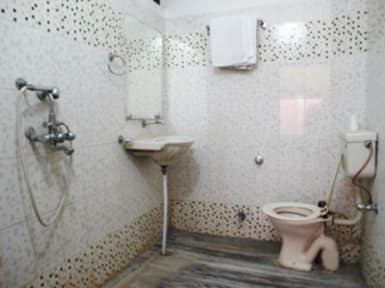 Hotel Everest is situated to the north of Sadar Bazaar in the quiet, traffic-free lanes. We can arrange a number of services for you, including car rental and camel or horse safaris. Check-in and check-out by arrangement (please contact Hotel Everest after booking).